You’re An Adult! What does that actually mean? When you (or someone you love) is now 18. You're now an adult in the eyes of the government, what does that mean? I also believe you should also get three important documents in order. I'm going to tell you what they are and then we're going to dive in a little bit more about why they're important. So the first, power of attorney. This document gives someone the ability to act on your behalf in financial matters or any contracts that you're engaged in. So for example, if you were in an accident and maybe out of commission for a bit, it gives someone else the ability to continue to pay your bills, get information about your bills, maybe help manage and understand your lease if you are renting an apartment. The second is your advanced health care directive. This is also called a living will or healthcare power of attorney. This has many different names but it's clear, this is a really important document to share with your loved ones on what you would like and what's important to you within your medical care if you are ever in an event where you can't speak for yourself. There's a huge spectrum of medical care and treatment available, from people who want extreme measures to, people who want no medical intervention whatsoever. The majority of people fall somewhere in between and it can be really important to be able to share what's important to you and what you would like. This is also called PHI which is dealing with protected health information or personal health information. This is any identifiable information within your health records. It gives someone the ability to understand all pieces of your medical condition, as well as health insurance plan information. 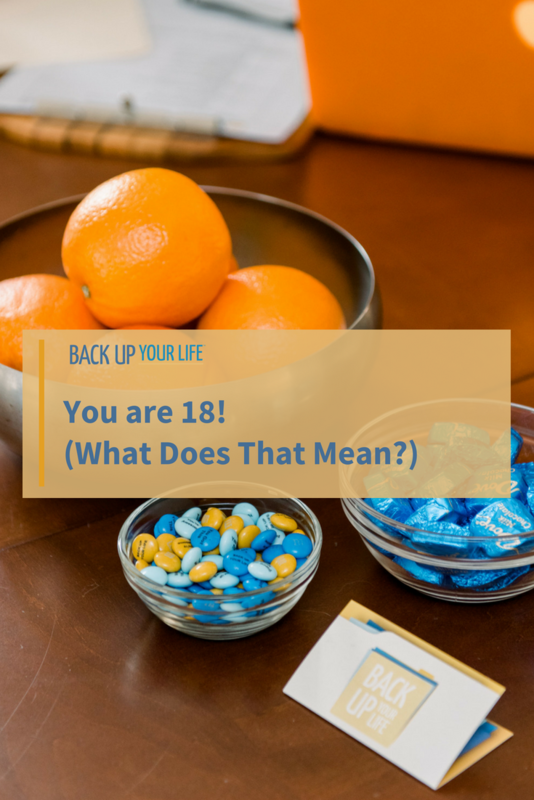 And even if you maybe are on your parents' health care plan they may not be able to get all the different pieces of that information because you are over 18. And then the fourth added bonus I'm throwing in here is that you can also make a will. It also means that you get to choose what happens to the things that you care about and if you don't decide then that means the state that you live in will decide for you. So you might be wondering: "Annette why is this even important for me to do?" Well, there are a few reasons. First I think there's a huge benefit of starting to do this work now. It becomes a habit and habits are much easier to maintain. The statistics are pretty staggering. In a 2017 survey conduced by caring.com, only 42% of people do have a will; that's about 4 and 10. And for folks in the younger set, Millennials between 18 and 36, it's only 22%. So just about 2 in 10 people. If you ask around to people of all ages, it's pretty likely that the majority of people will not have a will, especially if they're younger. I think it's a really great exercise to be able to understand what your core values and priorities are and then people that you care about know that as well. And here's the great thing a lot of people think this work you do is one and done. And it's not. It changes and it grows as you do. So it'll be different when you're 18, 38, 58, 78, 98, and above. There are no wrong answers. And if there any parents of 18-year-olds or adult children, I get it your baby will always be your baby, but the US government doesn't think the same way about it. So make sure that you and the whole family have the information that you need so that you can be prepared no matter what life throws your way. Don't hesitate to reach out if I can help you or your loved one in any way. Look into getting a power of attorney and a will. You can reach out to a local estate attorney and see if they can work with you to get the documents that you need. Maybe you can make it a family affair, so the family does it together. Or maybe if you have a couple of friends either in your group at college or at work to go in together and to be able to really understand what this is and figure out the best way to do it. The next are healthcare directives. The national healthcare decision day website which is NHDD.org (for National Healthcare Decisions Day) has a great resource list under "make your advanced care plan" and includes resources that I really adore such as The Conversation Project and caringinfo.org. You can also Google health care directive and your state to be able to find something applicable to your state. And every state in the U.S. is different, so you may need to have witnesses, you may need to have things to notarized, just make sure to read all the directions and what's necessary so that way your health care power of attorney is indeed valid in the state that you are in. And this is something that you do not generally need a lawyer for. If you are working with an attorney, they usually work in a bundle and you can get all the documents you need. But this is something you can go off and do on your own. And then last is that HIPAA form or PHI form. If you Google either HIPAA or PHI form and your insurance you should be able to find the form. A lot of times this information that you fill out on the form is good for only a year. Just make sure you know and can have the information that you need and that way you can make sure the people that you want to have the information that they need can have access to that.